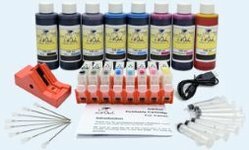 This laser refill kit contains all you will need to refill your LEXMARK 12A6760, 12A6765, 12A6860, 12A6865, or 12A6869 cartridge with premium MICR toner. 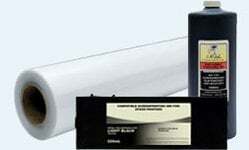 InkOwl's MICR toner is of an extremely high quality, excellent for checks and other applications. This kit will provide you with one (1) complete refill of your cartridge. 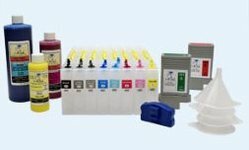 Toner refilling is easy, our step-by-step instructions will guide you through the process. With this product, you can re-use your same expensive laser cartridge, which amounts to huge $$$ savings and to less cartridges in landfills. 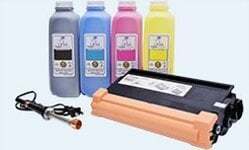 Toner refilling is environmentally friendly. *NOTE* Refilling the laser cartridges that this kit is compatible with involves drilling a hole into your cartridge. The use of an electric drill can cause plastic shavings to enter the toner compartment which may seriously damage the cartridge. We strongly recommend the use of our HOLE-IN-ONE laser cartridge holemaking tool as this tool does not create plastic shavings.